Spartans boss Dougie Samuel has encouraged his players to go and enjoy the challenge as he takes his Lowland League outfit to Stranraer tonight for their Irn-Bru Challenge Cup second-round tie at Stair Park. The Ainslie Park side earned a crack at their SPFL League 1 opponents after comfortably seeing off League 2 opposition Berwick Rangers 3-0 at Shielfield Park 14 days ago and will look to stir up another upset this evening. However, Samuel insists it is an occasion he hopes his players go out and do themselves justice. 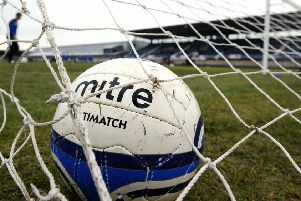 The Capital side romped to a 5-2 victory over Gala Fairydean Rovers in their Football Nation East of Scotland Qualifying Cup tie on Saturday, while opponents Stranraer crashed to a 5-2 defeat at the expense of top-of-the-table Alloa. Midfielder Dan Ward will miss tonight’s trip south due to a hamstring injury, while Scott Maxwell is rated doubtful.